"From now on, we're the kings of Hong Kong." Well Go USA has dropped another new trailer for the Hong Kong action/crime film Chasing the Dragon, from directors Jason Kwan & Jing Wong. This true story is about a drug lord in the 1960s, who snuck into British-ruled Hong Kong as an illegal immigrant. Donnie Yen stars as "Crippled Ho", who uses his combat skills to get deep into the underground world before being physically destroyed. He eventually works under the control of Chief Detective Sergeant, Lee Rock, played Andy Lau, until the Independent Commission Against Corruption (aka ICAC) in 1974. The cast includes Philip Keung, Kang Yu, Kent Cheng, and Bryan Larkin. This film already first opened in September this year, but this is another trailer for the upcoming DVD/VOD release this January, in case you missed it. You can still watch the first two trailers for Chasing the Dragon here, to see even more footage from this. Donnie Yen stars as infamous real-life drug kingpin Crippled Ho, who came to Hong Kong an illegal immigrant in 1963 and ruthlessly carved an empire from the chaotic underworld of drug dealers and corrupt police that ruled the city under notorious detective Lee Rock (Andy Lau). Chasing the Dragon is co-directed by filmmakers Jason Kwan (a cinematographer making his directorial debut) & Jing Wong, a long-time director of films including The Man from Macau, The Last Tycoon, Hong Kong Ghost Stories, On His Majesty's Secret Service, Kung Fu Mahjong, Crying Heart, The Tricky Master, and many others. 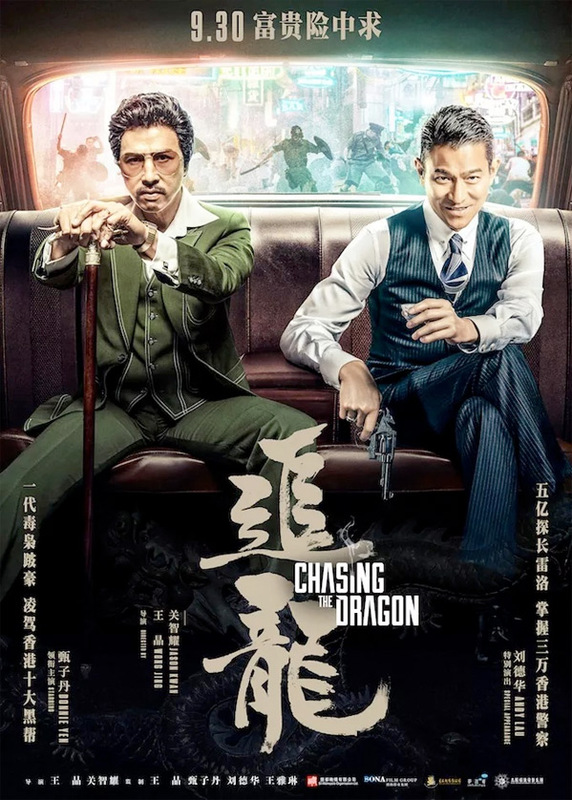 Well Go USA first released Chasing the Dragon in theaters September 29th, heading to DVD/VOD in January.